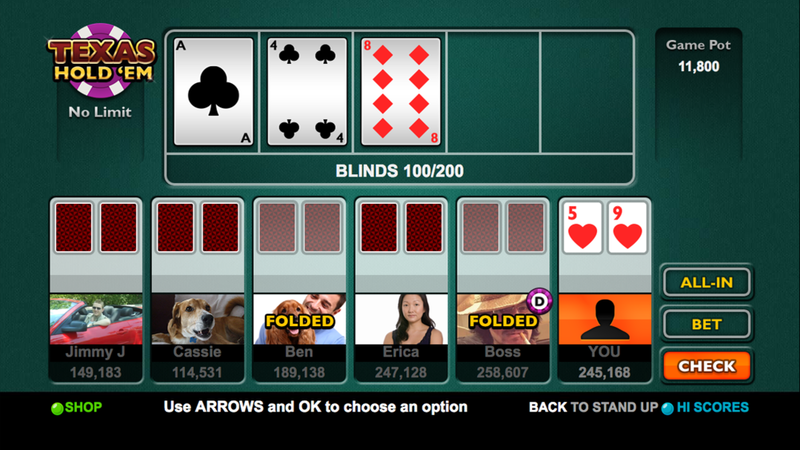 Custom made for the Fire TV, this game is a great way to practice your poker skills. You’ll meet lots of different player types at 7 tables, and, unlike multiplayer games, there’s no rush to take your turn! Winner Takes All tournaments for the bolder player! The bigger your stack, the better your opponents get, so there’s a challenge for every kind of player! Texas Hold 'em is available on Virgin Media TiVo and Amazon Fire TV and Fire TV Stick.